I wasn’t able to hit the bar last night due to some vehicle issues. That doesn’t mean I didn’t have a few beers. The bottom drawer in my fridge is full of beer and there isn’t a full six pack of any one type. Sure there are bottle of Guinness, that is too be expected in my fridge; a few Sessions too. But I also had a small collection of seasonal beers. That F’ing Monkey will always recommend checking out a beer you’ve never tried before, but this week I’m saying go out and grab something seasonal instead of your regular brew. Oktoberfests should be easy to find. 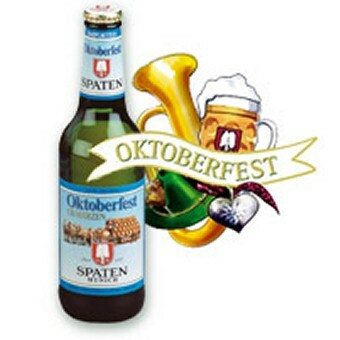 Most beers listed as Oktoberfests are Märzens. Märzens are full-bodied and usually a dark copper. They have a malty flavor with brewers in the states usually being a little bitterer. I like Spaten Oktoberfest; Rogue’s Maierfest Lager is good if you can find it. Warsteiner Premium Oktoberfest doesn’t taste like most Märzens but I enjoy it. Oddly enough many people swear by Sam Adam’s Octoberfest. I see Brooklyn Brewery also makes an Oktoberfest, if my truck is operational this week I have to track that down. Pumpkins Ales are also very popular this time of year. While I don’t like eating pumpkin pie, I enjoy a pumpkin ale. Most of them carry a strong taste of cinnamon, allspice, and other sweeter flavors. 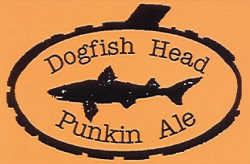 If you want my recommendation go with either Dogfish Head Punkin Ale or Shipyard Smashed Pumpkins. Shipyard has two pumpkin ales and they do not taste the same, so stay away from the Shipyard Pumpkinhead. Blue Moon’s version is also a little lacking. You may see more amber beers then you do in the warmer months. To me that’s good news. I prefer an amber over a straight lager anyway. Brown ales also seem to be popping up more. So this weekend grab a Fall beer before they get replaced with all those Winter ones.